The Web landscape is fluid and keeps changing by the day (Literally by the minute). Each year we witness more digital and technological advancements which keep us on our toes. 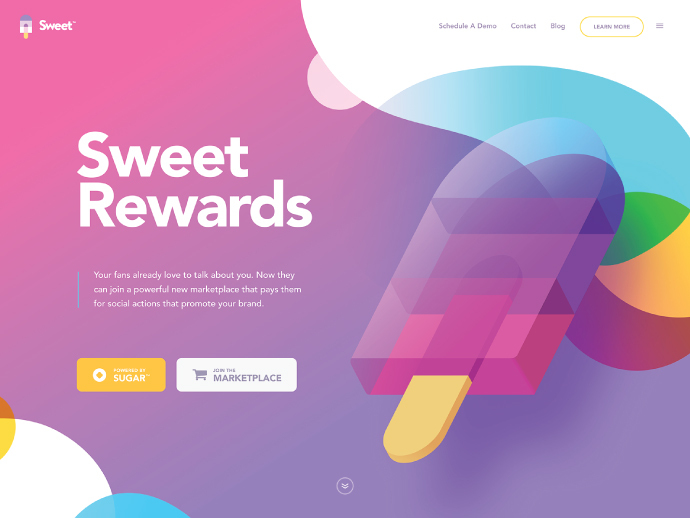 As we predicted in the beginning of 2018, asymmetrical layout design has formed a big part of the online design world and the trend will continue this year too. These layouts are inspiringly beautiful and eye catching, but come with a price because they impact the amount of web development required during the mobile first responsive development to ensure that the display adapts effortlessly across various devices and browsers without losing the visual impact and usability of the site. The lack of symmetry opens the door to significant custom development instead of industry standard that can be easily duplicated. The biggest misconception is that asymmetrical design results in a lack of balance but this can’t be further from the truth. Finding the balance in asymmetrical layouts catches the viewers eyes much quicker than generic symmetrical layouts. There are many illustration solutions in the online world but vector based illustrations are taking the lead. From natural shape designs to 3D animations based on client scrolling and CSS3 development, the significance of custom illustrations have never been more prominent. Starting with micro CSS3 animations, scroll animations, 3D and 2D explainer animations that portray the storyline behind each platform. Why not maximise the visual impact of animations on your next project? 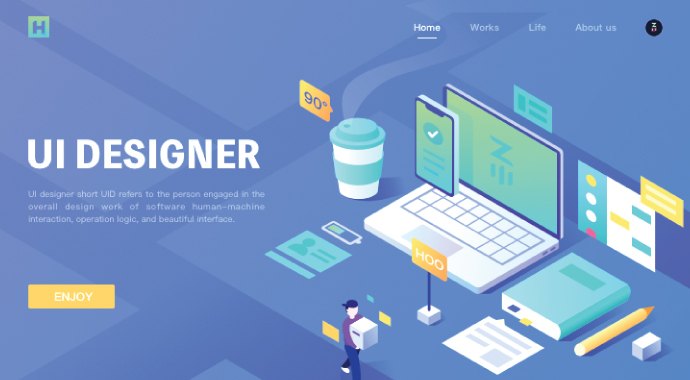 As web designers we know how illustrations grab the attention viewers and we understand the stimulation generated by visuals compared to static text. Images are significantly more prominent. Vector based illustrations and animations are much more enticing to clients as they are easy to understand and are inviting with an animated “cartoonish” look and feel, which is why we would rather focus on the significance of captivating clients with vector based illustrations and animations. On most website layouts one of the important elements will always be the navigation tools. We need to ensure that your website is easy to navigate and user friendly. Navigational design is not a typical design trend but worth considering. Think out of the box for navigation text sizing and positioning. We are excited to not only test the user interactions, but to also push our creativity to the next level. Not only have we noticed the outrageous changes in layout positioning and sizing, but also the simplification on some sites. The increasing trend of the universal “Burger Menu” is also quite relevant as it’s one of the most prominent trends continuing from 2018. Whole top navigation menus are hidden as default with only a single button to reveal it. This year it seems like Typography has become quite a big thing. 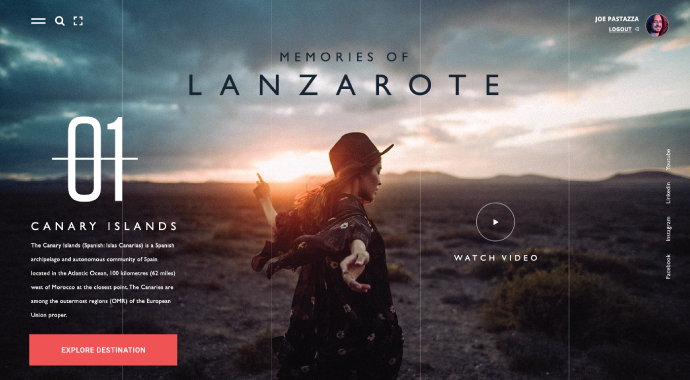 Page intro’s have become a powerful design element. In 2017 we wrote about the significance of the typography fill and colour and how gradients influence the overall look and feel, but this year the focus is on the simplicity of colour and placement. Optimising each page with a focus on the H1 (Main page header) helps to catch the viewers attention on each individual page, targeting specific keywords or key phrases that viewers would search to find your website. Video content has become extremely significant with eye-catching visuals that grab the viewers attention and keep them on your site. Large video banners have become a global trend. Videography is a significant element to use when capturing the attention of clients. Video is the easiest and quickest way to get your message across. People are more likely to watch a video than read a paragraph of text with the same information! Don’t take our word for it, start browsing the latest contemporary websites out there and see for yourself. 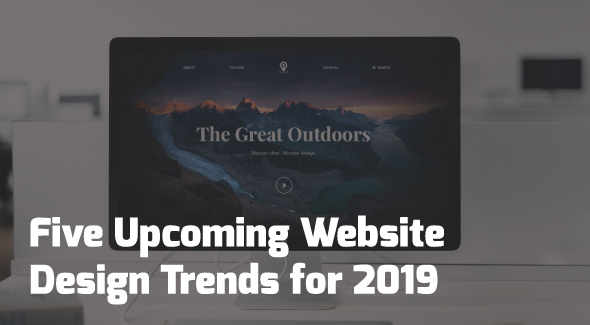 We also predict a shift in focus towards larger and more predominant illustrations and other visual elements on websites. Let us know your thoughts or feedback. We’d love to hear from you!